The spectacular twenty-one arch curved viaduct sits near the village of Glenfinnan and earned international fame when it featured in the Harry Potter movies. 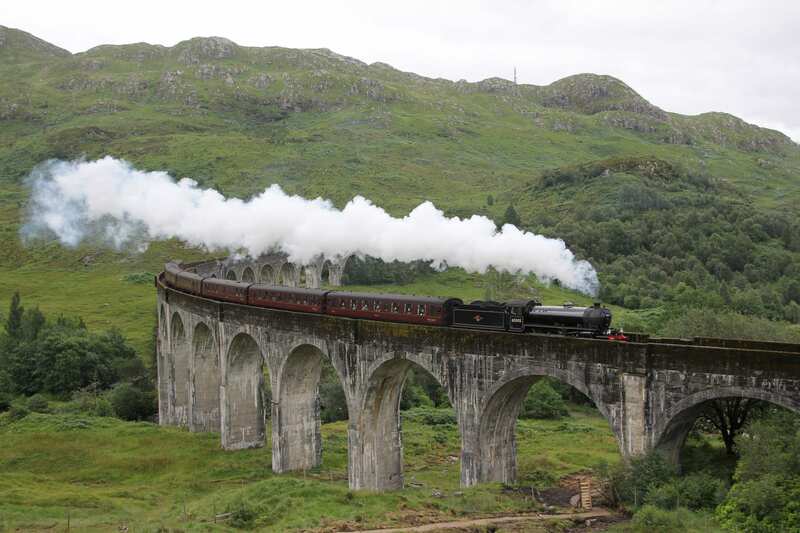 It carries the West Highland main train line and overlooks the Glenfinnan Jacobite Monument. In addition to all year round regular trains, the Jacobite Steam Train puffs over the viaduct as it makes its way from Fort William to Glenfinnan and onwards to Mallaig during the summer months.